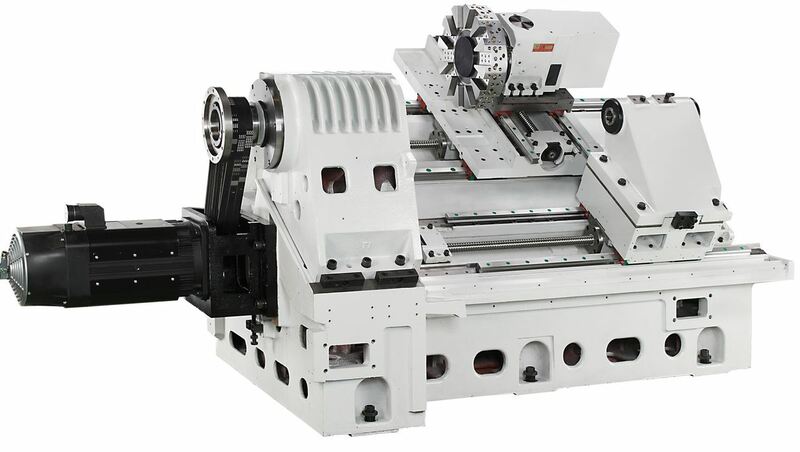 In the last article we discussed the questions that you should be asking yourself when buying a CNC lathe, and we discussed some of the common terminology associated with turning. In this article I would like to build on the topic of purchasing considerations, and want to discuss the ins and outs of the two main bed designs – the true slant bed and the flatbed “flying wedge” configurations. First we will dive into the "true slant bed” design. Unlike the flatbed “flying wedge” design - where the “slant” is achieved by the addition of a bolt-on wedge that is mounted on the cross slide - the true slant bed machine casting is manufactured with the slant built in. This not only offers more rigidity and thermal stability, but also proves to give the casting more overall mass, and means you have a much heavier machine with a smaller footprint. Typically the true slant bed design is offered in one of two slant angles: 30 degree and 45 degree, but there are also some 60 degree models available. 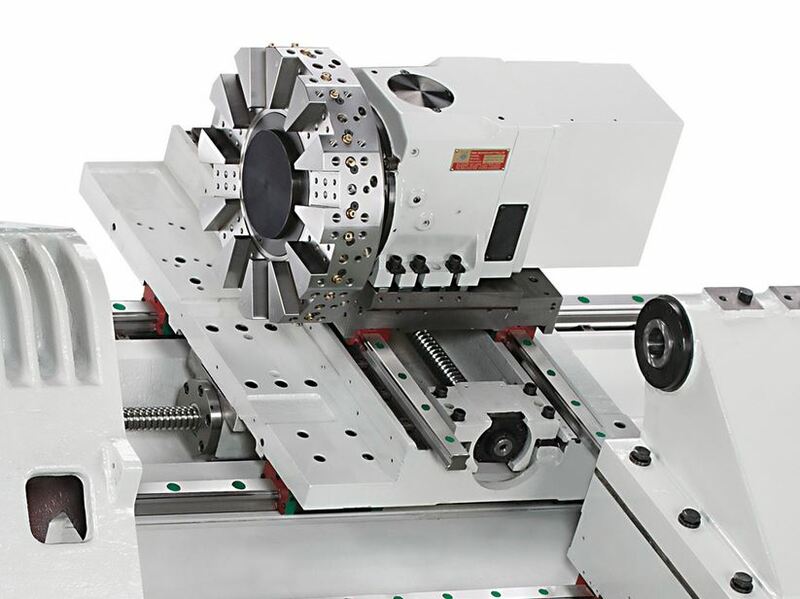 There are many advantages to the true slant bed design, and it is probably the most common configuration in modern CNC lathes. One of the most well-known and obvious advantages to the true slant bed is better chip evacuation. As the chips are created during the machining process, they are immediately washed down toward the chip bed by gravity and the normal flow of the coolant. This keeps chips from accumulating on flat surfaces…which not only helps control the chips in high volume production applications, but can also aid in prolonging the overall life of a machine - by reducing undue wear on the ways and other moving parts. Another advantage to the true slant design is larger X-axis travels. Unlike the flatbed lathes - where guide rail length is limited to the horizontal depth of the casting – the true slant bed design allows for longer X-axis rails. Just like in a square box, the straight sides of the box are one specific length, but the angular distance from one corner to the other is much longer. The same is true for the slant bed casting design…which obviously means a larger part capacity in a smaller machine footprint. Although the “flying wedge” design, with the bolt-on slant, can also offer some increased X-axis travels over traditional flatbed machines, it can also magnify the lack of rigidity that is present in the bolt-on approach. You just cannot substitute for a sturdy casting design. Thermal dynamics are also a big consideration in any machining process. The angular configuration of the base casting, and extended X-axis guideways, also offer better rigidity and part accuracies. Since the linear rails are longer, the base saddle casting that carries the turret can also be longer - providing a much sturdier base of support for the turret. 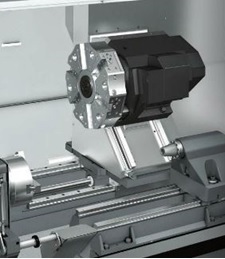 And as the machine components begin to heat-up during the machining process, the headstock, tailstock, and cross slide will all begin to grow along the same 30, 45, or 60 degree plane as the X-axis - unlike the flatbed “flying wedge” design, where the X-axis is mounted on a slant, but the rest of the machine components are mounted on the horizontal flatbed plane.